I never read the Goosebumps book collection, because I was a chicken. My favorite uncle thought that introducing his underage niece to movies like The Exorcist and The Birds was good for the soul. My soul suffered lack of sleep and I am terrified of birds to this day. My children are much braver than I. 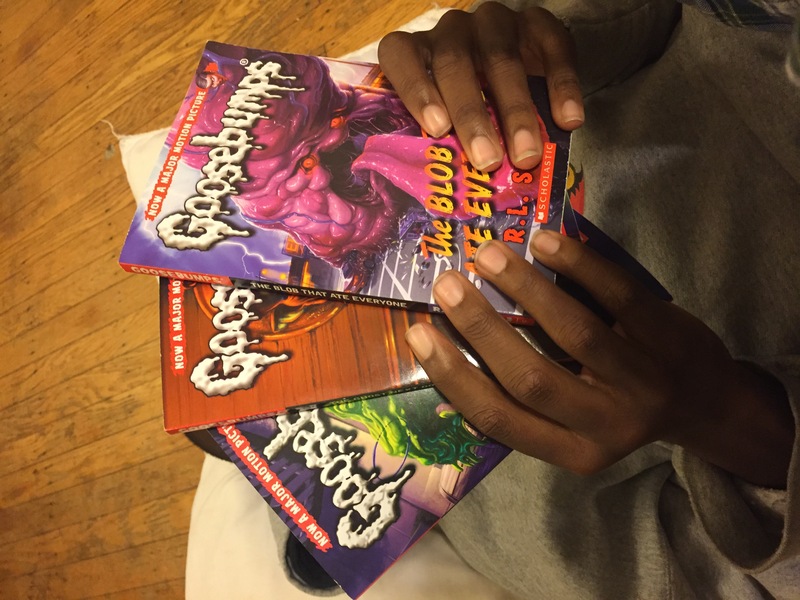 My daughter and her friends used to trade and collect books from the Goosebumps series, and the TV belonged to her Saturday evenings as she watched episodes of the TV series, sometimes allowing her brother to curl up next to her even if he watched through his fingers. As he outgrew his early reader detective books, I had The Boy read them as a bridge to the next level of reading. This Friday, a new generation will be introduced to the mind of R.L. Stine and the Goosebumps series. However, before heading to the theater, check out Scholastic’s website dedicated to all things Goosebumps. Teachers and parents alike can find multiple activities that will keep the magic of the movie alive long after the last credit scrolls along the screen. If your child has a story to tell, this teacher’s guide (opens as a pdf) will help them develop a scary story. For the budding writer, a guide created by Stine is available to help cultivate the minds and imaginations of young authors. The site offers tons of resources to keep young readers busy. The best part of this giveaway (other than books!) is that the books will be mailed directly from the publisher! Post offices and I are not compatible. Enter below. Good luck to all! I can’t wait to try the “Where’s the creatures” game with my littles! It looks so fun, I bet they’ll love it! I don’t have any Goosebumps memories as I a have not read the book myself. When my girls were in gradeschool/middle school, they all read these books and loved them. My granddaughter is an excellent writer so the “How to Write a Scarry Story” activity would be right up her alley. My favorite Goosebumps memory is reading The Girl Who Cried Monster with my three sons before bed. They’re super fun kids and aren’t scared (long term) by much. Thanks so much for the opportunity to win this great prize! I never read them! Like you, I was scarred from watching spooky movies when I was younger lol!!! My son would love these though!! Scary stuff doesn’t bother him!